I have just completed another test knit for YarnOverNewYork. This hat is absolutely adorable. It makes use of the Brioche style to give definition to the ribbing and the heart. 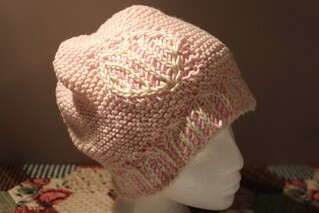 It has child and adult sizes, so if you are looking for a cute hat for a little girl, this one will be fantastic. It’s also great with Valentines day coming up.